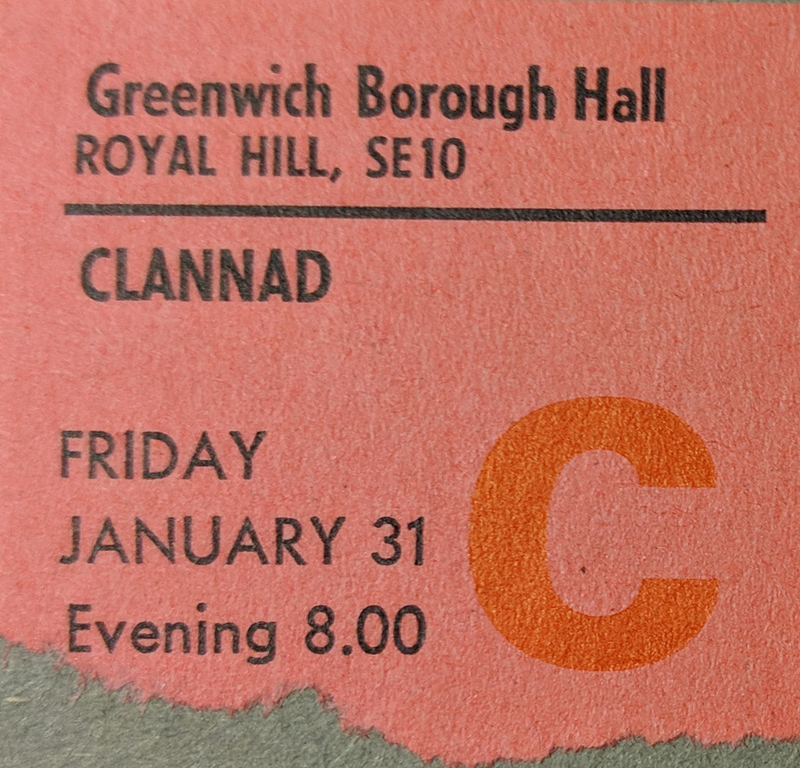 I probably went to this for two reasons – firstly my then wife liked all that Celtic rock sort of stuff and secondly because their new album Macalla was pretty good. I seem to recall that Clannad had been thrust into the public eye because they did the soundtrack for the TV series Robin of Sherwood and that LP, Legend, was pretty good too. The second reason was that they had done a duet with Bono called in a lifetime which was in the charts at the time of the gig. In theory it should have been easy to get to the gig as we lived in Thamesmead at the time so the train from Abbey Wood stopped at Greenwich on it’s way into London but if I recall correctly the station was miles from the venue and we had to walk quite a distance to get there! 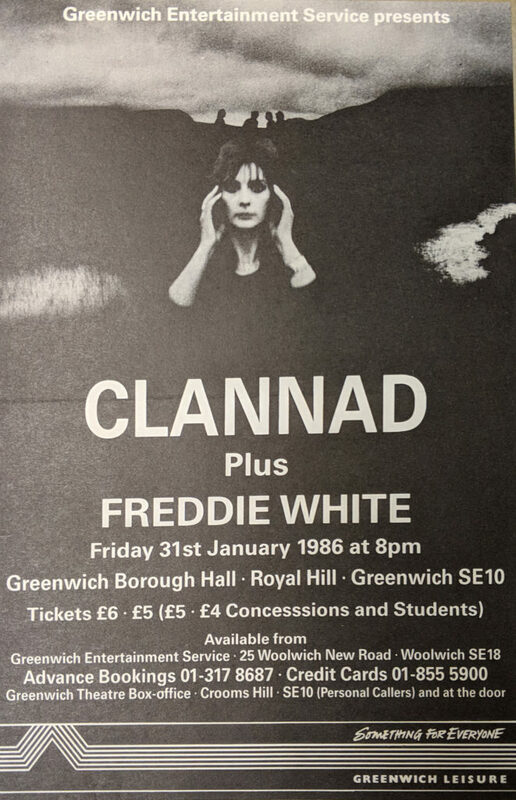 The support act was Freddie White – an Irish singer songwriter but apart from that and the fact the tickets were £5 and I sat in H13 I don’t really remember much about the actual gig!